“I haven’t bought a new bag in ages” I thought to myself while making a rather excellent cheese and coleslaw bagel. I don’t know if it’s just me who randomly thinks about materialistic things when making food for themselves but after this thought crept into my head I obviously had to buy a bag. I’m rather fussy when it comes to bags. I don’t like paying for something cheap that will fall apart after a couple of uses (I learnt this lesson after buying a bag at 13 years old from Internacionale that swiftly crumbled to pieces) so only certain brands will do. I’d never tried Dune for bags but have always loved their shoes so I figured hey, I may as well check out the quality of a Dune bag. 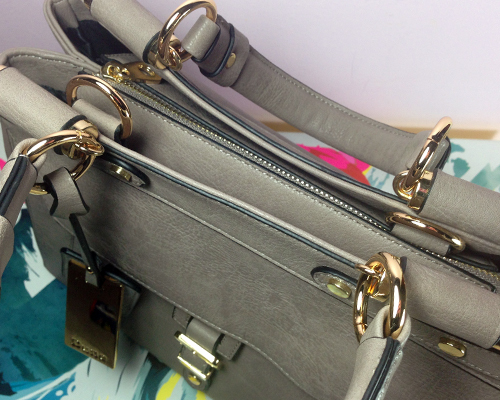 The bag I chose was the Doven Grab Bag in taupe. 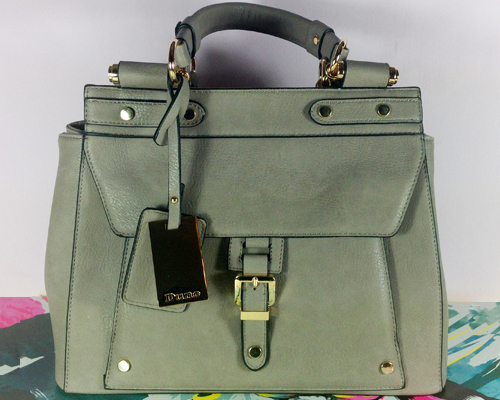 I instantly liked this bag because of its structure and its size. 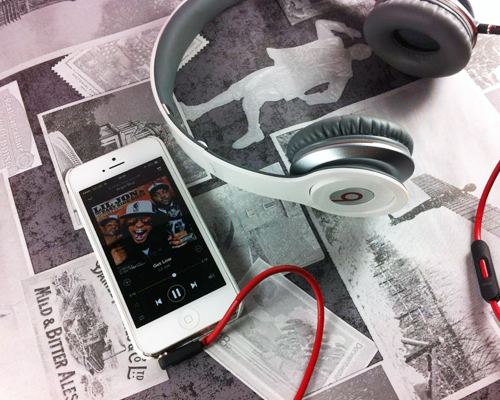 It’s suitable for everyday use and it can carry all of the junk I insist on carting around with me on a daily basis. The colour isn’t something I would usually go for as I’m more of a “dress for a funeral” kind of girl but I wanted to mix things up a little. Apparently my idea of mixing it up is to opt for another neutral shade. I’m clearly a wild girl. 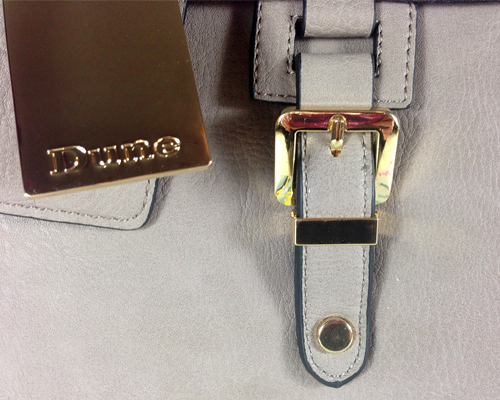 I’m a big fan of the gold hardware on this bag which is unusual for me; usually this shade of gold would have me running for the hills but I think it suits the taupe shade rather well. This bag definitely feels like its high quality. It’s durable and practical but does have an understated level of class. It is one of those bags that stands to lose its shape over time if too much weight is put into it but that’s easily avoided by not carrying rocks and other heavy items around. 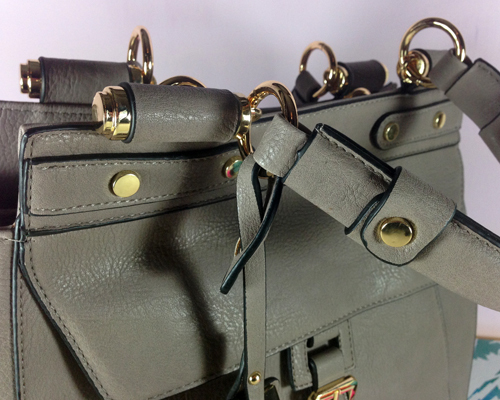 Weirdly one of my favourite things about the details of this bag is the actual tag that hangs from the handle. I absolutely detest bags that have the brand plastered all over it (Louis Vuitton I’m looking at you) as I find them to be completely tacky but a little tag with the brand name somewhere on the bag really finishes the overall look off for me. It’s an unnecessary detail but it’s something I love. When it comes to space Dune has spoilt me. There is a large compartment in the middle of the bag that is split into 2 and there is another compartment on the front of the bag. I was rather confused by the front flap as I attempted to open it by undoing the buckle; as it turns out the flap is closed by magnetic closures. It took me a good 5 minutes to figure that one out. Major brain fart! The only issue I really have with this bag is the left side (as you look at it) sticks out and it’s really off putting for me. Granted I am completely nit picking but it sort of ruins the quality and structure of the bag for me. I told you I was fussy when it comes to bags! So the thought that popped into my head while making lunch for myself one day paid off. I ended up with a bag I really like and blends in with my wardrobe brilliantly. It’s also given me an excuse to buy matching shoes so this bag is a total win win. Now if you’ll excuse me I’m going to fill my bag with my junk. Exfoliators don’t play a big part in my current skincare routine despite having multiple bottles full of rough goo lying in multiple drawers. They’re usually something I use for a few weeks and then forget all about. I think it’s just because exfoliators aren’t something I can use every day so I just automatically forget about them. All of that has recently changed all thanks to Lush Ocean Salt hiding away in the Lush box I was given for Christmas. Hooray for that beautiful blue gunk! 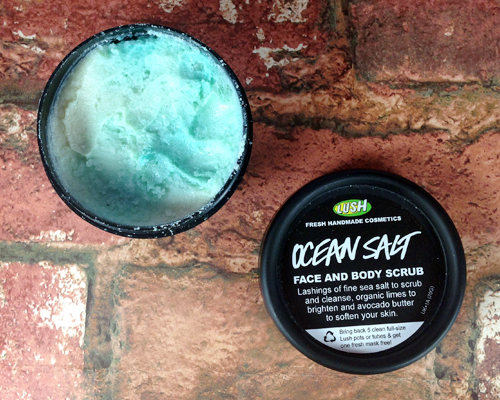 Ocean Salt is a face and body scrub that is full of sea salt, limes and avocado butter. The salt is obviously to scrub all of the dead skin cells and other nasty gunk from your skin, the lime is to brighten whatever the salt left behind and the avocado butter is to leave you as soft as a baby’s bum – I have no idea how soft a baby’s bum actually is. 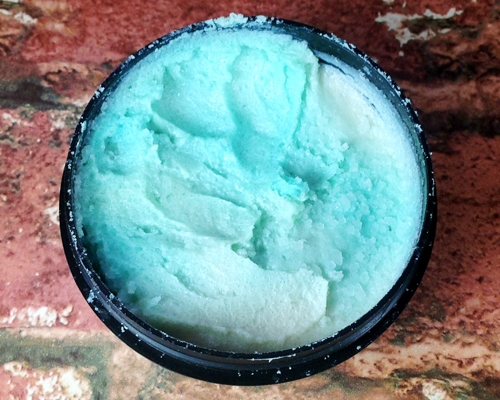 The product has a gorgeous blue shade running through the off white goodness and it’s incredibly thick and very gritty. 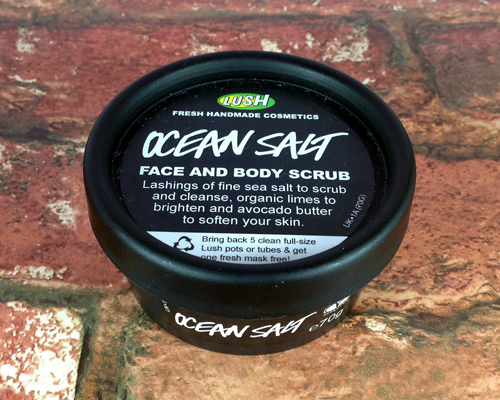 As soon as I took a little bit of Ocean Salt out of the tub I knew fine well my skin was going to be in for a very good scrub. I just didn’t realise how good a scrub it would be. My skin was leaning toward the drier side of the scale when I first used Ocean Salt but I applied water to my face, scooped out a dollop of Ocean Salt and thought nothing more of it. As I started to rub the salty scrub to my face I could feel things getting a little sore. It wasn’t unbearable but it’s definitely not something I’ve experienced while exfoliating my skin before. After I washed off the blue gunk I was actually left pleasantly surprised. Whatever pain I had felt while rubbing Ocean Salt on my skin had subsided and my face felt tingly in a jolly good way. I actually felt like my face had undergone a good scrub and all the horrible crap that may have been lingering on my face was completely gone. The tingling sensation disappeared once I applied my moisturiser and I was left with very smooth and great looking skin. I’ve used Ocean Salt a few more times and the soreness I felt during my first experience with it isn’t as prominent but it is definitely still there. I only use Ocean Salt once a week because of this as I feel like it’s just too heavy for 2-3 times a week. Overall I can’t get enough of Ocean Salt and I sort of regret not trying it for so long. It’s been on my Lush list for a long time but I just keep forgetting about it whenever I make a Lush purchase. I imagine the tub I have now will last me a long time but it will definitely be repurchased at some point in the future. The only thing I need to make sure I don’t do with it is accidentally get in my mouth as it is absolutely foul tasting! If you were to look at the meaning of red nail polish you would instantly realise that none of the definitions apply to me whatsoever. I’m not flirty, attention loving, romantic or passionate; I’m goofy, attention hating and about as romantic and passionate as a wet fish yet somehow I absolutely love red nail polish. Okay there’s no somehow about it, the meaning behind my red nail polish is *drumroll* I like the colour. That’s a shocking revelation isn’t it? 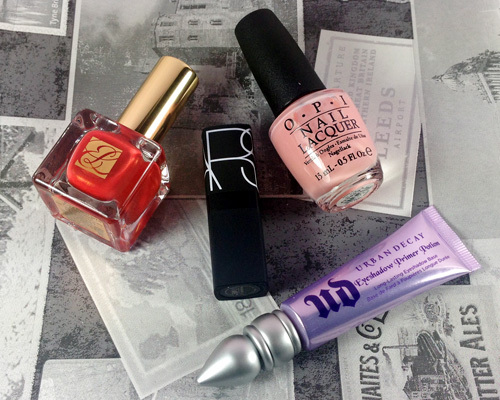 Red is typically my go to colour for my nails mainly because it’s bright, classy and probably the easiest nail polish to apply. My Barry M Bright Red nail polish is basically finished now so I figured I would replace it with the beauty that is Estee Lauder Empowered. This baby immediately jumped out at me from the murky screen of my laptop (I should really clean this thing) during a House of Fraser shopping spree and I instantly fell in love with it. 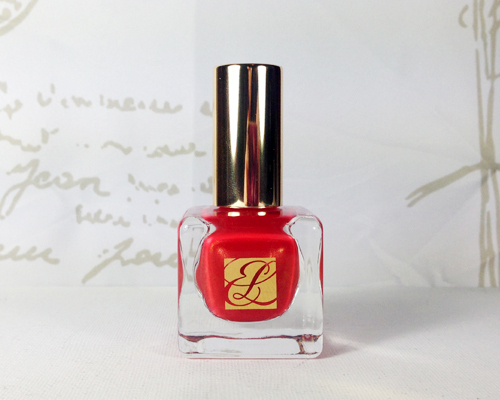 Empowered is a gorgeous bright red with a hint of orange to it. It’s quite possibly the best red nail polish I’ve ever owned colour wise and as far as I’m concerned this should not be a limited edition shade! 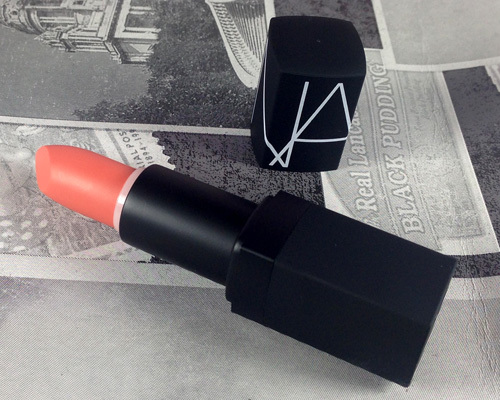 It’s one of those colours that compliments any skin tone and can work for both day and night. 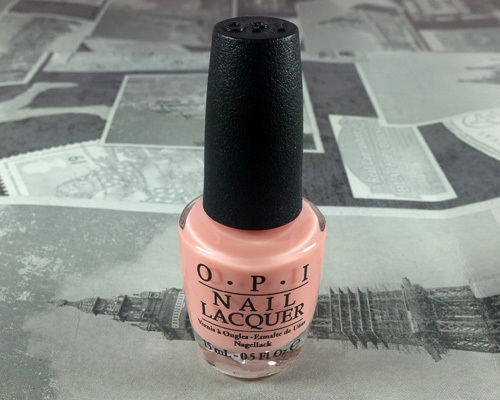 This nail polish comes with a large brush which makes application simple and easy. I find that one coat is usually enough for decent coverage but if I’ve got a spare 10 seconds I’ll apply 2 coats for full opacity. Empowered dries very quickly and is fairly chip resistant for at least 2 days. Granted there is a bit of wear and tear at the tip of my nails but as I’m forever punching a keyboard at work that’s to be expected. I can’t even begin to tell you how nice it is to treat myself to some make up. I haven’t been buying much make up recently and when I do it’s just one or two items that are more than likely on sale. Things that colour in my facial features and nails haven’t been high on my list of priorities recently but then my Urban Decay Primer Potion ran out and I figured I may as well build up an online order that’ll get me free delivery. Well I’ve given away what the first item is now haven’t I? 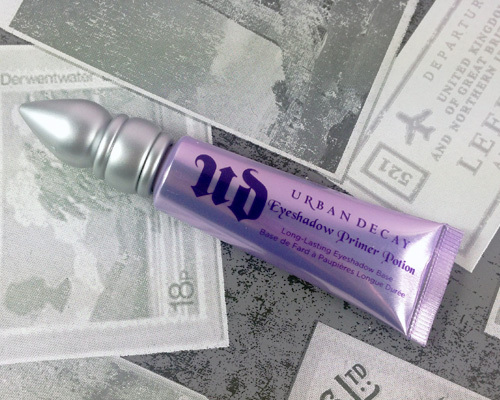 I originally purchased the Urban Decay Primer Potion 2 years ago and I’ve only just reached the end of that tube. This is quite possibly the best primer I’ve ever used and I now refuse to apply any eye make up without it. How eye make up wearers can go without this in their lives I will never know. 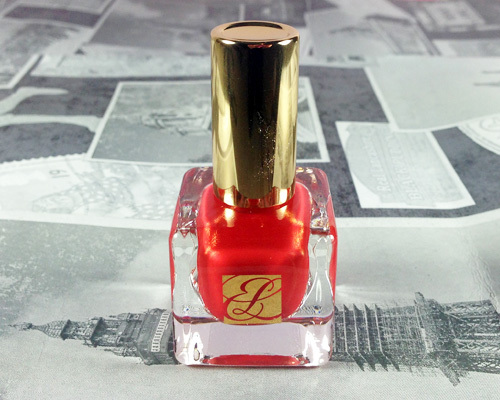 For a good few years now I’ve been using Barry M Bright Red nail polish but, as the bottle is about to run out, I decided to purchase Estee Lauder Empowered. I’m probably a little too excited about using this nail polish but hey, I’m a red nail polish loser! Nars Barbarella has been on my list ever since I got bored during the rugby (I seriously do not understand this sport at all) and decided to do some online shopping. It’s a gorgeous peach shade although I’m a little worried as to how it’ll work with my skintone. Hopefully it won’t make me look like a corpse. The last item I purchased was bought due to the fact it was free delivery on orders over £50.00 and the discounts applied to my order took me down to £48.00. It’s beyond annoying when that happens but it did mean I could treat myself to OPI Passion. I do get rather frustrated with the amount of effort pale nail polishes take to apply but I’m hoping this colour will be worth the annoyance. So really what I’ve just proven in this post is I am weak and completely bought in by marketing ploys. It’s not my fault, make up is just really pretty and I deprived myself for so long. Now I just have to figure out whether I want my nails to be red or pink, decisions! 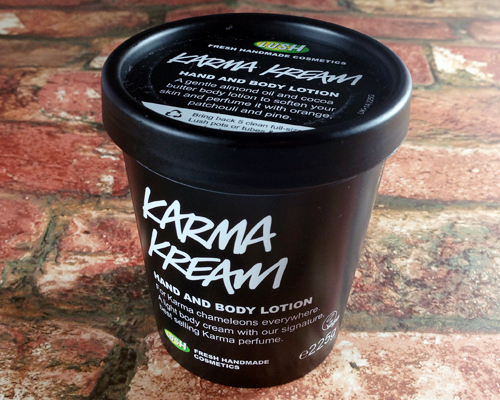 I’ve tried a good few body lotions from Lush in the past but I’ve somehow overlooked Karma Kream all this time. Considering the fact Karma Kream is one of Lush’s earliest products as well as one of their bestsellers you’d think I’d have slathered this all over myself by now. I guess this is just a case of being fashionably late to the body lotion party. Er, that sounds a little weird doesn’t it? 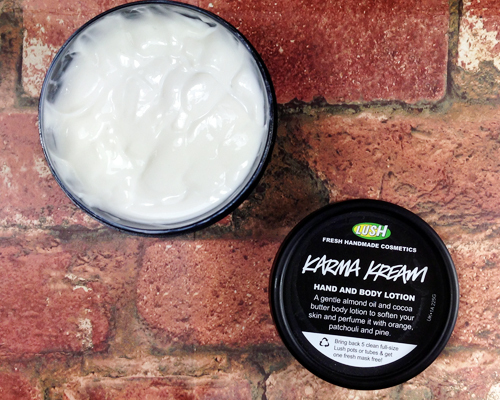 Karma Kream is an almond oil and cocoa butter infused hand and body lotion. It’s incredibly thick and extremely creamy. I was all for scooping this out of the tub like the instructions said to do but I found lightly dipping my fingers into the product was more than enough to cover various body parts. This does come with the typical old lady/cola bottle sweet Karma scent which I find to be a little overwhelming. I’m used to the scent now as I’ve been using this body lotion for around 3 weeks but I found it to be far too overpowering the first few days I used Karma Kream. I swear every single time I turned my head I got a good whiff of the Karma scent. When it comes to the whole moisturising side of things I’m not overly impressed with Karma Kream’s abilities. Sure it moisturises but it’s nothing to shout about. 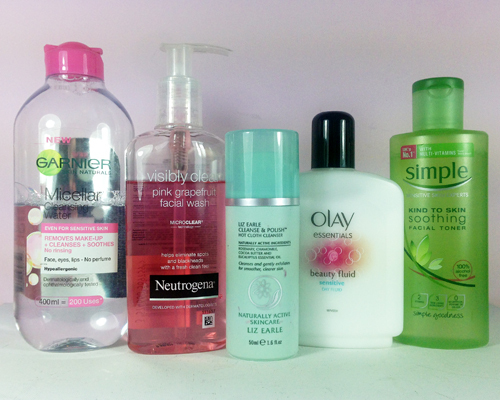 My skin really feels the same as it always has and there are no more or no fewer dry patches. 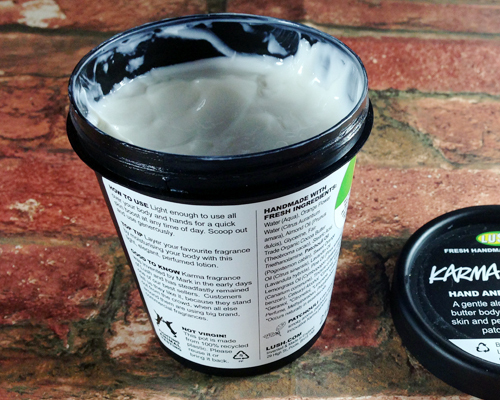 Although Karma Kream is a thick moisturiser it’s easy to rub in and it soaks into the skin fairly quickly. I say this about every body lotion I use from Lush but honestly, with Karma Kream a little goes an incredibly long way. I’ve barely made a dent in the tub I have despite using it all over myself every morning. Overall I like Karma Kream but it’s not my favourite thing in the world. I find the patchouli that this body lotion is full of to be a little too excessive and I imagine everyone around me thinks 90 year old women are my scent icons. The moisturising aspect is okay but you get the same results from a £3.00 moisturiser you’d find in your local supermarket. If you’re a big fan of the Lush Karma scent then I would tell you to try out Karma Kream if you haven’t already but steer clear if you don’t like smelling of old ladies who eat cola bottle sweets; it’s all very overwhelming. Once upon a time I never bothered with a skincare routine. I would just stick my face under the shower water before drying off and moisturising. There was really nothing to it but then, at the delightful age of 19, I somehow ended up with the most stubborn spots across my forehead and middle of my face thus the skincare routine was born. I’ve chopped and changed products over the years but I think the items that feature in my current skincare routine are rather full proof. Before I can dive into the fun part of my skincare routine I have to remove my make up. 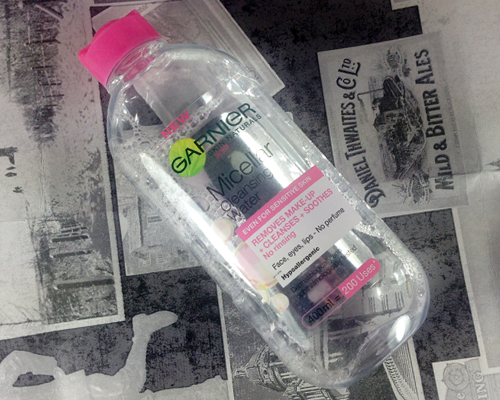 If I’m feeling lazy I’ll just take a Simple make up wipe to my face but usually I’ll go full throttle with my Garnier Micellar Cleansing Lotion. I was using Bioderma for a while but I found the Garnier version to be just as effective not to mention it’s easier to get a hold of than Bioderma. 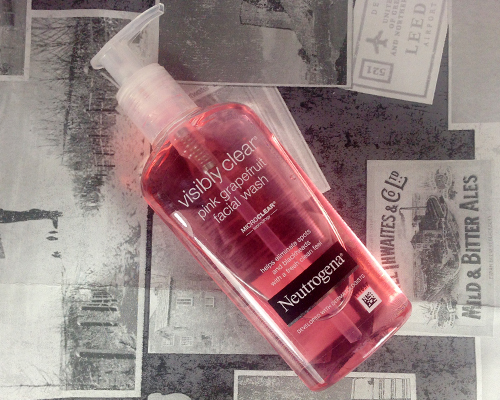 Once I’ve removed all of my make up and I’m left with my zombie like face I splash some water all over it and get to work with my Neutrogena Pink Grapefruit Facial Wash. This is a really gentle wash that doesn’t dry out my skin and helps remove any bits of make up I may have missed. Annoyingly it reminds of Vanessa Hudgens as she used to advertise this so I’m forever getting High School Musical songs stuck in my head whenever I use it. 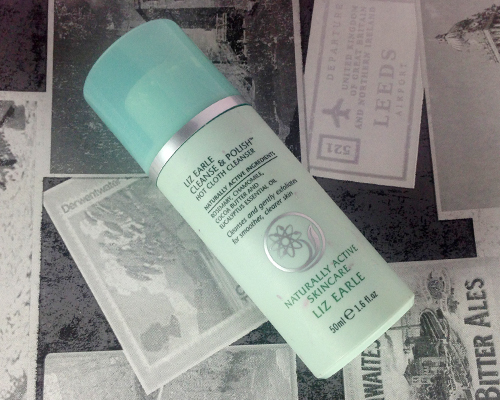 Occasionally I’ll apply a little bit of Liz Earle Cleansing Polish to my face before “buffing” it in. I don’t use an awful lot of this as I find it gets a little too heavy for my skin but a small blob does it for me. I try to avoid using this with the Neutrogena Facial Wash as that just turns into far too much cleansing for one person. If I remember I’ll apply a little bit of Simple Facial Toner after the cleansing aspect is done. I really use this to refresh my skin after a long day of trying not to feel asleep at my desk. Personally I don’t think it does anything other than make me feel more awake but hey, it’s a nice thing to have. 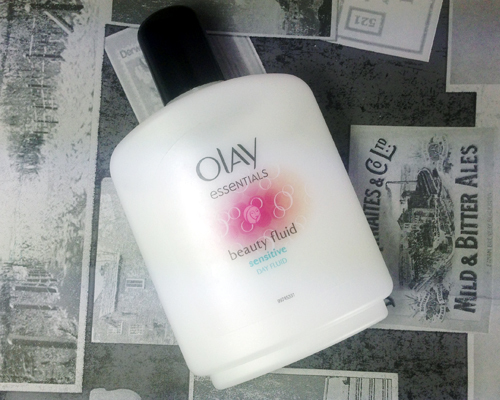 Last but not least is my trusty Olay Beauty Fluid. This has been my go to moisturiser for years and it probably will be for more years to come. It’s just the right consistency for my skin; plus it has a very subtle scent and moisturises incredibly well. It’s also cheap and cheerful too so it’s a total win/win. So there we have my full evening skincare routine. If I’m feeling lazy I will just remove my make up, apply Dolce & Gobbana Clarifying Lotion and Olay Beauty Fluid which is probably just as effective as my full routine but I like to use unnecessary products. Chances are I’ll probably change this routine in the not too distant future but for now I’m perfectly happy with it. Go skincare! 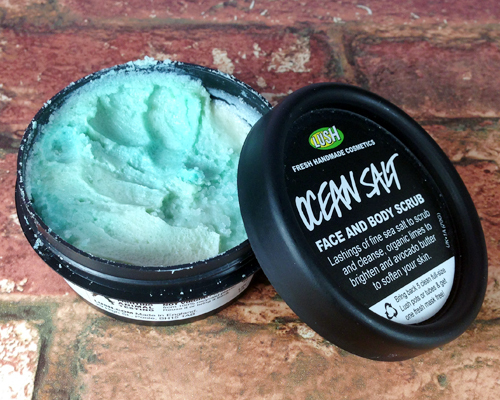 As a person without a bath in her life I’m forever missing out on Lush’s bath related products. I’m always left green with envy whenever I read a post on Lush’s latest release as the majority of their seasonal products consist mostly of bath bombs and bubble bars. The opportunity to chill in someone else’s bath rarely occurs (because why would it?) so when I was whisked away to a hotel for Valentine’s Day I figured there was no other time like then to finally use a Lush bath product. It took a lot of umming and aahing over which bath product to get. Did I want a relaxing lavender infused bath bomb or did I want a bright yellow one that stained the bath? 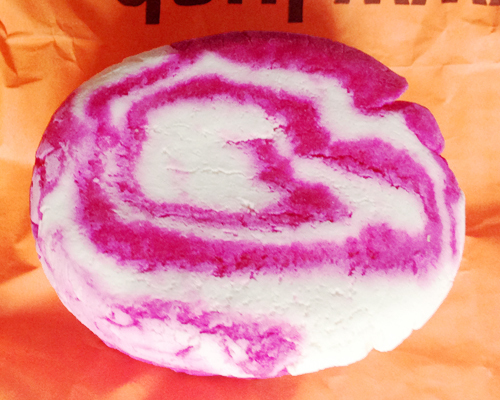 Eventually I settled on a rather delightfully coloured bubble bar called The Comforter. The pinky-purple colour of the bar is what drew me in but the blackcurrant scent is what made me purchase it. The thought of The Comforter staining the bath crept into my mind as I dropped half of the bubble bar into the water (most people seem to use a quarter of this bar for each bath but I found a quarter wasn’t enough). As the water turned pink and the bubbles started to appear all worries left my mind and I was left with the overwhelming desire to hop into the pretty looking water. 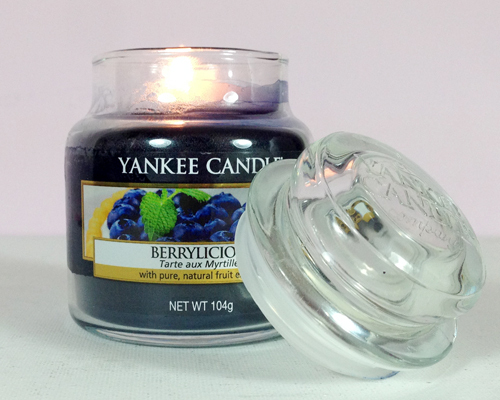 Blackcurrant filled the bathroom air and it mixed perfectly with the scent of my Yankee Berrylicious candle. Fortunately the fragrance was subtle so I wasn’t left with a berry hangover. 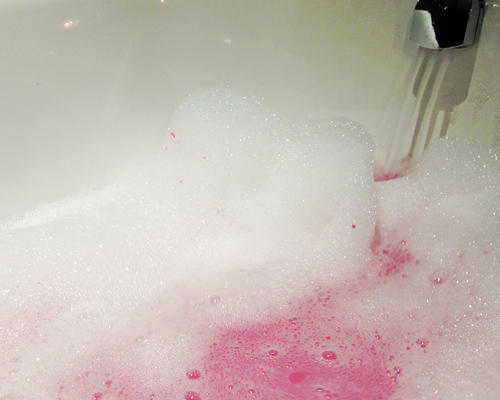 There were berry bubbles absolutely everywhere and, for the first time in my life, I wasn’t completely bored in the bath. Pink water and bubbles amuse me apparently. When the water became too cold to enjoy I hopped out of the bath and it was time for the moment of truth; had The Comforter stained the bath pink? Fortunately the answer to that question is no so I didn’t have to spend the rest of my night cleaning with nothing but toilet paper and water. Annoyingly I can’t comment on whether The Comforter had any effect on my skin. I had been in the spa for a few hours prior to the bath so I already had incredibly smooth and soft skin. The Comforter didn’t do any damage to my eczema prone skin so let’s just assume it only did good things to it. Exercise and I do not get along. The idea of getting out of my bed an hour early to kill my muscles and sweat out my body weight is anything but appealing to me yet for some unknown reason, I’ve decided to start running again. I’m not quite sure what I’ve done to make me hate myself so much. I used to run on a regular basis last year so I know I’m capable of it but dear lord is it dull! The only thing that helps me get through the dreariness of running is a rather upbeat playlist. I’m afraid to say there’s not going to be any Taylor Swift or whatever else the kids listen to in this post but hey ho, here are some of my favourite songs to destroy my body to. The lyrics to Get Low are awful but the beat gets me dancing at 2am when I’m supposed to be sleeping so it’s obviously great to run to. It’s probably more of a “down a bottle of vodka and fall down the stairs” kind of song but falling down the stairs is a form of workout right? You can’t have a workout playlist without a bit of drum n bass. Power Glove typically blasts through my headphones towards the end of my playlist (Spotify must know I’m about to give up) and it’s usually enough to give me one final push. 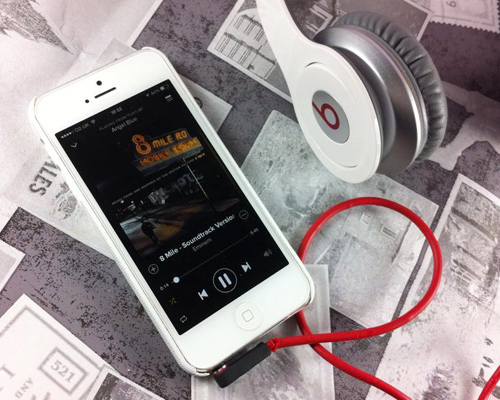 It’s a fast paced song so it’s the perfect track to run to. Is it actually possible to run to a slow, acoustic song? This is from 8 Mile the film and is probably not a great song to work out to instrumentally wise. It’s actually the lyrics of this song that motivate me along with Eminem’s ever fabulous violent voice. Perhaps fabulous was the wrong word to use there but honestly, there’s something about this song that works for so many moments in life. It’s probably better suited for when you’re about to take down all of your enemies rather than for running miles though. The beat to this song is incredible for running to and the lyrics are nice and motivational. If you’re not huge into rap or hip hop Keep On Keeping On is a nice safe song to listen to and the contrast between Travie McCoy’s vocals and Brendon Urie’s high pitched voice is a nice touch. I swear every time this song hits my ears I immediately I want to shout “Flava Flav” at the horse I’m running past; maybe I get too into Public Enemy! Harder Than You Think is one of those songs that makes me want to bounce off of walls so naturally it had to be on my running playlist. As this song was used on the advert for the Paralympics it always gives me a good amount of motivation and apparently makes me want to scream at horses. 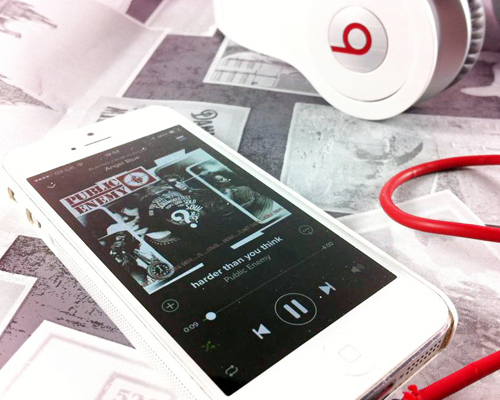 I could go on and on but I think 5 songs is a good place to stop. I’m hoping that having this post somewhere on my blog will guilt trip me into running but let’s be honest, what I’ve actually done is made myself want to listen to Lil Jon – Get Low and dance around my room like a lunatic. Hey that’s exercise! “It’s spring” I grumbled to myself as I woke up to the sounds of hailstones and a howling gale. I somehow managed to convince myself that, as today is March 1st, it will be sunny and warm but I conveniently forgot I live in Scotland, a place where the sun never shines. If someone could kindly remind me what warm weather feels like it would be much appreciated. What am I babbling about? 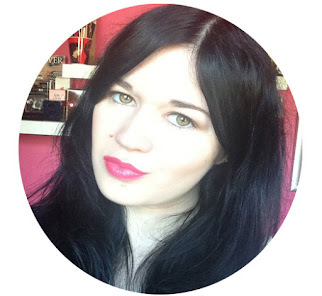 Here’s my February Favourites! If you read my review on this shampoo you probably won’t be surprised to see it in my monthly favourites. 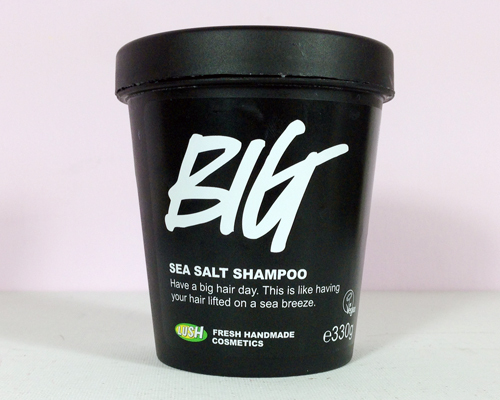 Big is a sea salt infused shampoo that is so fabulous I can’t image my life or my hair without it. It does such a great job at washing my hair and keeping it soft and shiny I don’t think I can return to regular salt free shampoo. 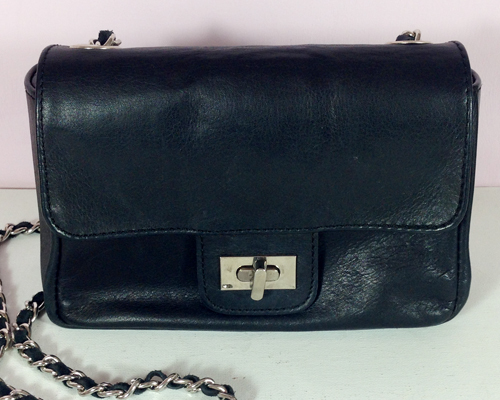 Ah my ever beautiful black Roberta Minelli bag. 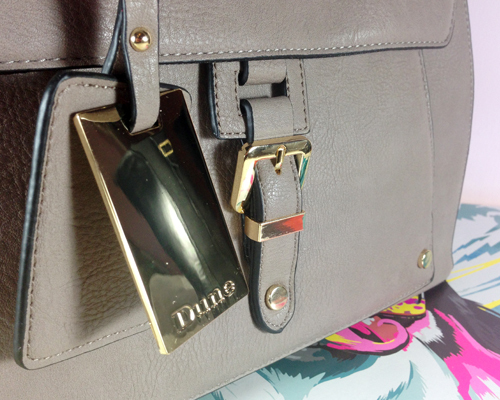 This is a great bag for throwing your keys, phone and purse into before running out the door. It’s the perfect addition to any casual outfit and it adds an understated level of class to my battered leather jacket and skinny jean ensemble. The only problem with it is it’s too small to fit all of the crap (mainly receipts from 6 months ago) I insist on carrying on a regular basis. I’ve used this moisturiser on an off for a good few years now and it was an absolute life saver in February. 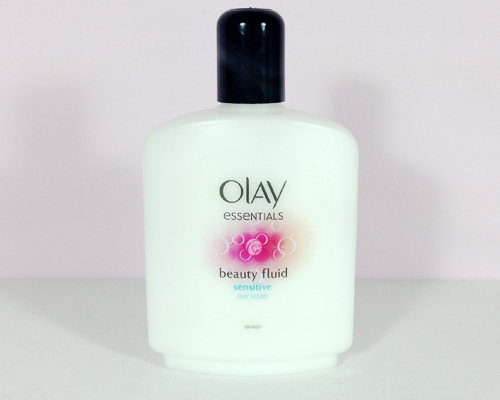 I don’t know how it happened but something used on my face at the spa I went to for Valentine’s Day completely dried out my skin and the only way I could repair it was by slathering Olay Beauty Fluid all over my face. 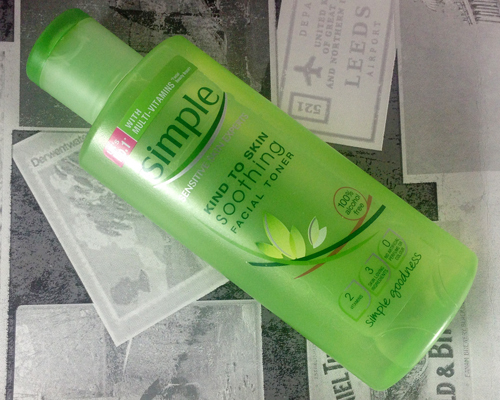 My skin is back to its usual self and it’s all thanks to this delightful moisturiser. How late to the Ugly Betty party am I? I did start watching Ugly Betty when it first aired in 2007 but then the 3rd season hit our screens and I found it too ridiculous to watch. I discovered Ugly Betty again last year and ended up buying and binge watching this box set in February. I still find the 3rd and 4th season to be beyond stupid but hey, there are clothes and hot guys so what more could I want? Writing this post has somehow given me a dead leg so I’m going to walk it off. I’m also going to go outside and yell at the sky for giving me such awful weather. I swear one of these days I will finish a monthly favourites post in a normal manner!